What are the best indoor air cleaning plants? FilterEasy is in the business of delivering clean air. Most commonly, this is done by automatically sending you the exact filters you need, exactly when you need them. However, there are some additional ways you can keep the air you and your family breathe clean... there are many plants that actually improve indoor air quality by removing some pollutants from the air, operating as a natural air filter! While these plants cannot replace a regularly changed pleated air filter, they act as a supplemental cleaner to be used in addition to regularly-changed air filters. Formaldehyde: Found in particle board, foam insulation, cleaning products and treated papers/fabrics. If you own particle-board furniture, grocery bags, tissues, paper towels, or anything that's been treated basically to make it stiffer/wrinkle-resistant/fire retardant/water repellent - you have formaldehyde in your air. Xylene: Xylene is used as a solvent in the printing, rubber, paint and leather industries. Over time, exposure to xylene can greatly affect the central nervous system. Benzene: Being one of the top 20 chemicals for production volume, benzene is found in pretty much anything created using manufacturing processes like paints, glues, furniture wax and detergents. A major source of benzene exposure is tobacco smoke and benzene has been linked with causing cancer. Trichloroethane: As known as “methyl chloroform,” this solvent can be found in adhesives, varnishes, paints and some consumer products. Not to fear! The moral of this story in particular is that air purifying plants can help rid your house of these toxins. 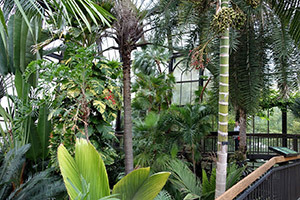 All plants provide some benefit to air quality, but research shows that tropical plants (grown as houseplants in cooler climates) are particularly effective at processing gases and chemicals. Because they grow in dense rainforests with very little light, they have evolved to be very efficient at photosynthesis, which includes the absorption of gases from the air. In addition, as plants transpire (emit water from the leaves), air is drawn down around the roots, where root microbes quickly adapt and begin “eating” the harmful chemicals that are absorbed. Here are some of the best plants you can have around to help increase your air quality! 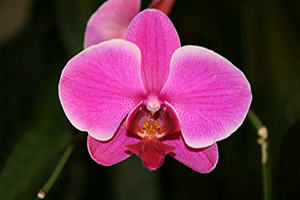 Orchids typically get a bad rap for being very difficult to grow (personally, I have never managed to keep one alive) But according to some articles, orchids are typically killed with too much water and sunlight. If you leave your orchid alone, it will help rid your air of some of the xylene we previously mentioned and they also give off oxygen at night! 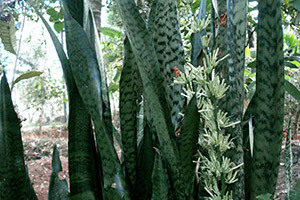 Also called snake plant, this is an evergreen perennial plant that is extremely easy to grow in a house or office. Note that during winter it needs only one watering every couple of months (many people kill theirs by overwatering them). According to the studies by NASA, this is single-handedly one of the best plants for improving indoor air quality as it passively soaks up nitrogen oxides formaldehyde. Palms are extremely hardy, extremely good plants for people who tend to kill off their attempts at a garden every year. Bamboo Palm (Chamaedorea seifrizii) is especially effective (and low maintenance). 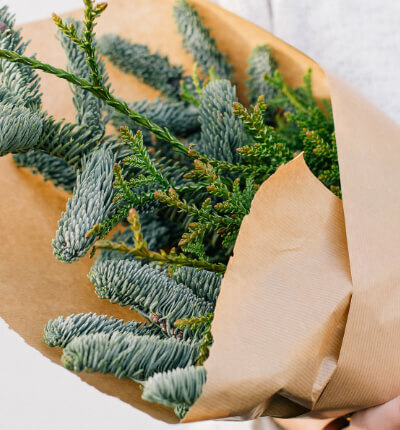 They particularly target the toxins produced by cigarette smoke so keep these plants in mind if you ever need to give a gift to a friend who can't kick the habit! 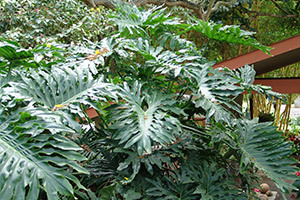 Philodendrons, particularly Heartleaf (Philodendron scandens ‘oxycardium') are easy houseplants that make them pretty but also pretty good at sucking toxins out of the air. The peace lily is a beautiful flower that helps remove toxins like xylene, trichloroethylene, formaldehyde, benzene (the toxins we mentioned above) but also things like acetone, ammonia and more. Be wary if you have pets, however, as peace lilies are poisonous for both cats and dogs if they eat them. 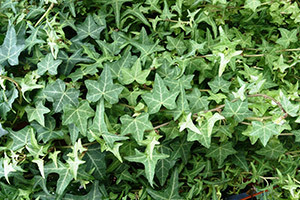 English Ivy naturally originated in Europe but it makes for a great houseplant in North America, too. 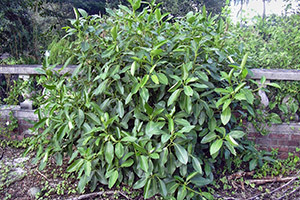 Be mindful to keep this plant a houseplant, however, as it is very effective at taking over gardens and has been labeled an invasive species in a lot of areas where it has been introduced. 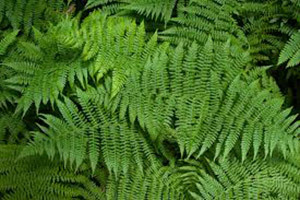 The large fronds of fern plants have helped get rid of pollutants in the air for over 360 million years, believe it or not. They also help remediate contaminated soils due to their hardiness and unique properties. 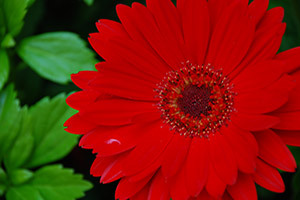 Known for looking too pretty to be true, Gerber Daisy plants are excellent at dealing with trichloroethylene (from dry cleaning) and benzene (from inks). Just make sure you give them a lot of light! 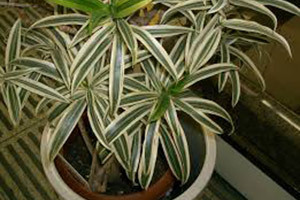 Dracaena, particularly Dracaena reflexa, is a very good plant to grow in many different types of light as it absorbs unhappy toxins from the air. 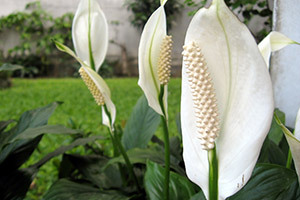 Be careful as these, like peace lilies, can be poisonous for pets. And you may have already gotten one accidentally before - rooted stem cuttings sold as “lucky bamboo” are actually just dracaena plants in disguise. The common ficus (also known as fig trees) are keystone species in many rainforest ecosystems, which can make them extremely helpful in processing gases in your house. 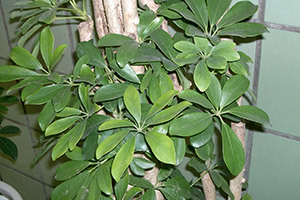 Caring for a ficus tree can be difficult at first to figure out a good placement for it and ideal watering conditions, but once you're set then these trees can last for a very long time. So You Want to be a Homeower?! Don't walk into your new home with rose-colored glasses. 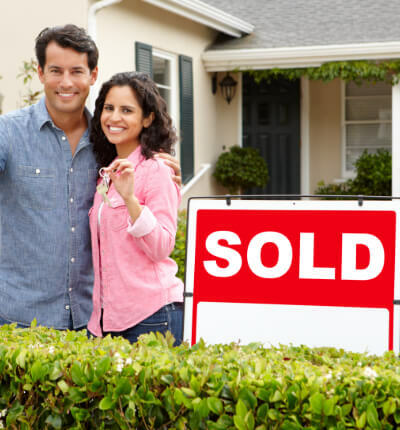 Here's a few things to keep in mind as you chase the American Dream of owning your own home. Having a stinky home... well, stinks! But it doesn't have to stay that way. There are SAFE ways to reduce or eliminate odors in your home. It's important to attack the odors head-on, rather than mask them with things like candles or spray. 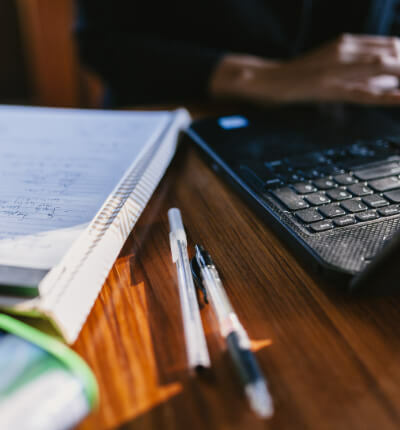 Changing your air filter saves 5-15% on your heating and cooling costs, but there are many other ways you can save money on your energy bill. Here are a few quick tips to save money on your energy bill. 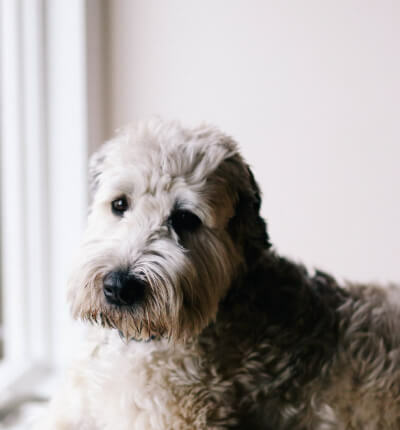 Just because you suffer from allergies, it doesn’t mean you have to avoid owning a pet all together. You have many “hypoallergenic” options!